Our featured patio for the month of August is a great example of functionality and aesthetic. This design compliments the greater aesthetic of the house in general by not only mimicking it in style but merging seamlessly with the lines and color of the walls, roof, and features. 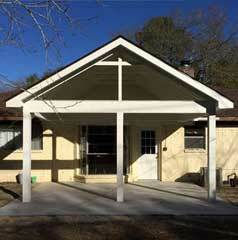 The hip roof design, that is a roof that slopes on all four sides complement the hip roof design of the house proper. 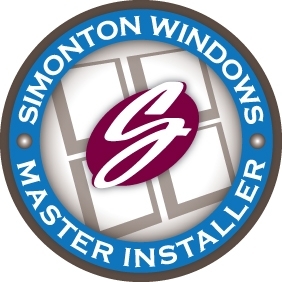 This attention to the overall look of your home and the importance of the patio as a part of that home is one of the ways that our service can help you to achieve the look and feel you are looking for when finishing off or adding to your home. 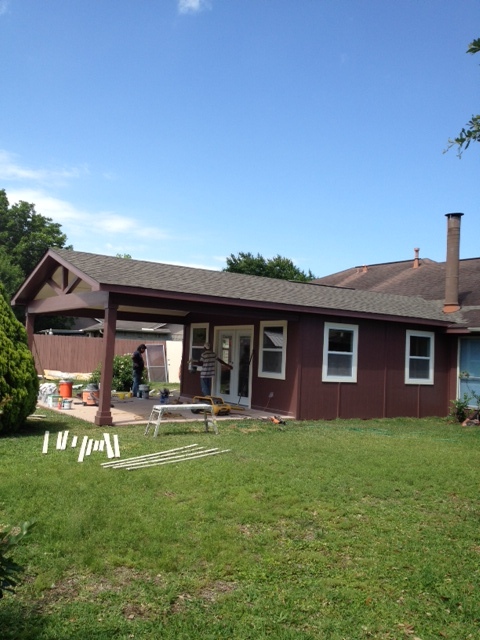 Hip roof designs are more stable than gable rooves, making the hip roof a great design choice as it is both attractive and durable. For this patio, the choice has been made to include square brick columns which are an excellent choice when considering stability whilst maintaining airflow. 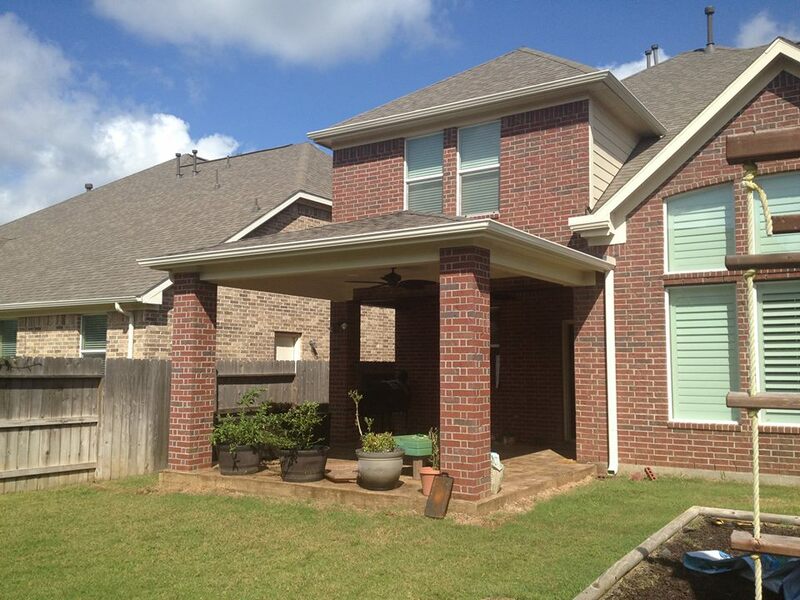 These columns also look amazing and are a great addition to your brick house or patio. 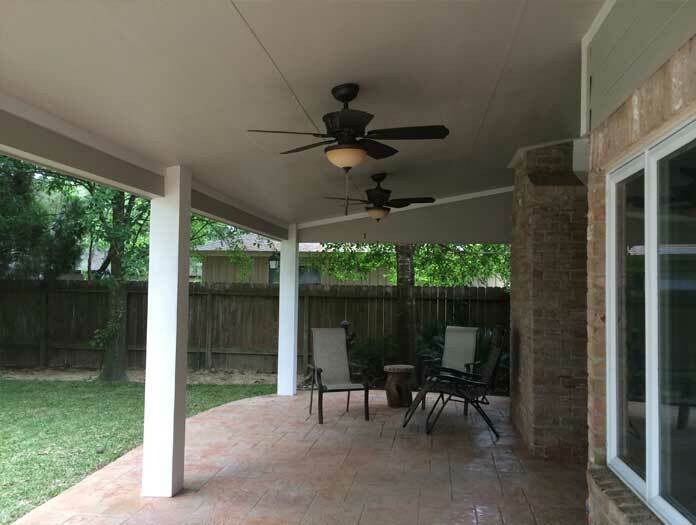 In addition to opening up the space using columns rather than more intrusive load bearing barriers, you may choose to do something similar to this design by including outdoor ceiling fans. 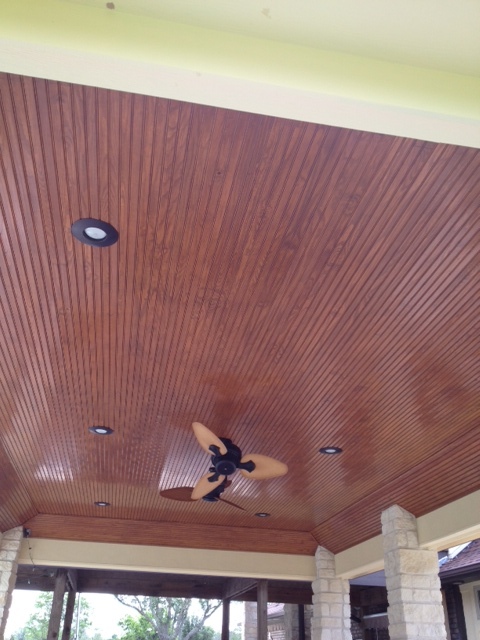 Ceiling fans as an energy efficient way of cooling the outdoor living space. 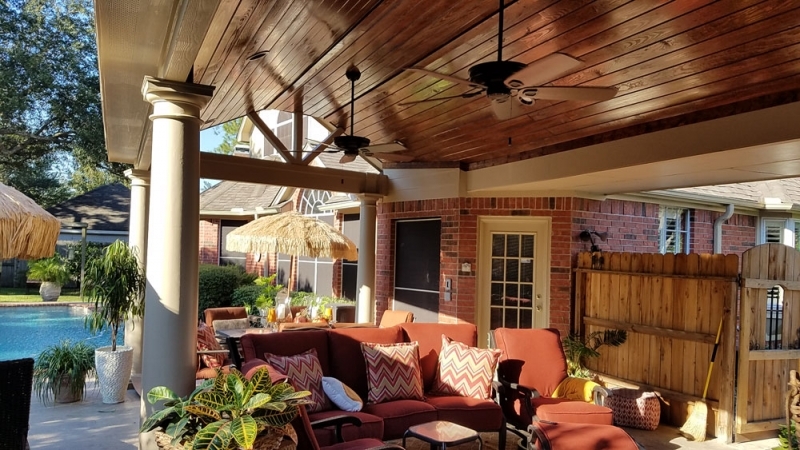 Creating and maintaining airflow is crucial to keeping your patio area cool and comfortable in the hot summer months. A well-chosen ceiling fan in your patio can make a real difference to the comfort of your outdoor retreat or entertaining area and can add an extra aesthetic dimension to your patio design. Recessed lighting provides a low profile, noninvasive lighting solution. As a lighting choice, this is a great way to create an affordable, sleek and stylish look in your outdoor patio area. Recessed lighting is very appealing to those who are looking to make the most of the height that is available in which to build their patio, as it consists of lighting that is embedded within the roof rather than hanging low. The last thing you want to be doing is to be ducking out of the way of low hanging lights all the time, and your guests will certainly appreciate this more airy and roomy approach to patio lighting and design. Also featured in this patio is the versatile and hardy stamped concrete floor finish which can be patterned to reflect your style and preferences. Stamped concrete patios are a great way to achieve the look you want but with the added resilience of concrete rather than tiles or bricks which might be more susceptible to damage. 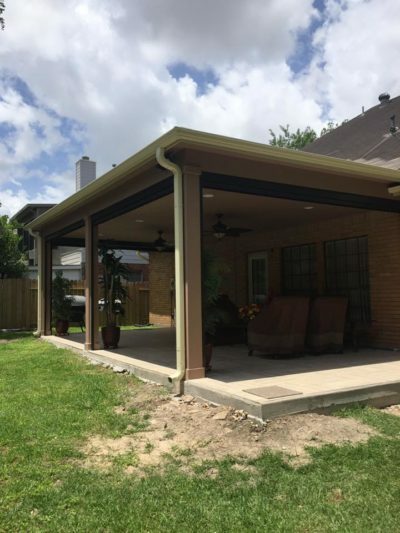 Utilizing some of the design elements employed in this fantastic patio we can help you to create the best possible patio area for your space, budget, taste, and needs. Whether you are looking to create a handy outdoor entertainment area or just expand your living space you can use this style of effective and affordable patio to complement and enhance your home. Do You Need A Good Contractor?